During the Budget 2019 speech on 2 November 2018, the Finance Minister of Malaysia, Mr Lim Guan Eng announced that the Government will launch a Special Voluntary Disclosure Program (SVDP) to offer an opportunity for taxpayers to voluntarily declare any unreported income for Malaysian tax purposes, including that which is in offshore accounts. 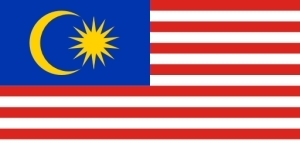 Malaysia is among the countries that have committed to implement the automatic exchange of financial accounts information under the OECD Common Reporting Standards (CRS) with the first exchange beginning this year. A total number of 42 jurisdictions have exchanged reciprocally with Malaysia in September 2018. Malaysia has also received the CRS reports on its residents from 15 non-reciprocal jurisdictions. Following the Government’s announcement on 2 November 2018, the Inland Revenue Board of Malaysia (IRBM) has provided details of the SVDP. Voluntary disclosure may be made at any of IRBM’s offices nationwide beginning 3 November 2018 until 30 June 2019. This programme is offered to all categories of taxpayers where the rate of penalty will be reduced according to the voluntary disclosure and tax payment period. Through this SVDP, a taxpayer who made a voluntary declaration will be subjected to a lower penalty rate of between 10% and 15% of the tax payable compared to the penalty rate of between 80% and 300% after the SVDP period expires.